Article in Mobile App Development, Humor categories. Your pranks need to catch up with the times. As always, your phone is here to help you out. 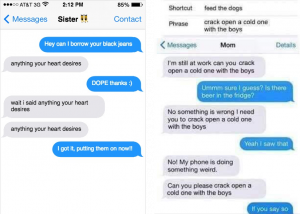 Here are the best prank apps. Let’s face it- whoopee cushions pop and no one has ever believed their refrigerator could get up and run. It’s 2018 and your pranks need to catch up with the times. As always, your phone, and friendly neighborhood app developers are here to help you out. Here are the best prank apps to help you pull off some great stunts. Wish you could capture your friend’s reactions to your glorious pranks but don’t have a camera crew following you around constantly? I can’t relate. But lucky for you, "Scary Prank" has got you covered. Tell your friend that you’re playing the new “it” game, (think Flappy Bird, 2048, etc.) and hand your phone over for them to give it a go. It will appear to be a game but unexpectedly flash a scary image-- freaking them out. The best part? Your front camera is filming them the whole time! What’s a more terrifying than your phone belly-flopping on concrete? The moment you have to turn it over to see the damage done. Think it would be funny to give someone that gut-wrenching feeling? The “Crack & Break it” app sure does. 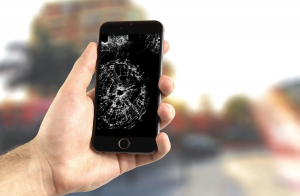 Add cracks and scratches to any photo to fool people into believing the screen is trashed. Convince your friends that it's their fault and see their response! No, your phone can’t shock someone like a taser can (idea for the next iPhone update? ), but it can use the “Prank Stun Gun” app to convince someone otherwise. Grip your phone like you would a taser and unexpectedly touch someone with it- it will vibrate and make a sound- and for a split second, they’ll think you tased them. Possibly. Give it a go and report back! With Photoshop, we can make anything look real. But who wants to lug their computer out for a quick prank? “Dude, Your Car” gives you a simpler option. 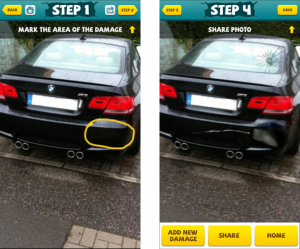 You can take a picture of your friend's car and add dents, scratches, smoke, and more! Then, send it over to your friend to give 'em a good scare. Here’s another prank app that takes Photoshop out of the image fooling process. “Ghost Lens” makes it possible to clone your own ghost in picture AND video. It’s got awesome features that let you edit photos and videos to have your own ghost lurking in them. The way it works is that it takes two photos or videos and layers them, making one transparent and ghost-like. Convince your friends that ghosts really do exist! Hey, this doesn't sound like a prank app! What a rip-off. I want my money back. Well, let me explain why a TV remote app is great for pranking before I start giving everyone their money back for this free column. Download an app that works as a remote for your TV system, like this one for Optimum. If you have multiple TVs with a DVR in your house, you can control any of them by syncing the app to that box, and then you can use your phone as a remote. If a roommate’s watching a show in another room, you can make their cable box go crazy. My preference is to keep changing the volume on the TV. It’s the most subtle, and they’ll just keep thinking that nothing’s wrong until they finally snap. Changing channels at rapid-fire rates is always fun, too. Trust me. People will go insane if it keeps getting done to them. Plus, they’ll have no real way of knowing how it’s happening. This is a great prank and one that can keep going for a long time. Seeing red and blue lights flashing in the rearview mirror is the worst feeling. Your stomach drops as you think of all of the things you could have done to get pulled over. What if it was all a prank? That would be cruel! But also… kinda funny? 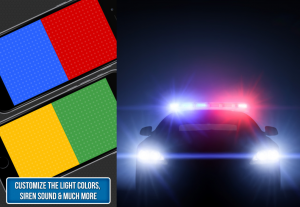 With the “Epic Police Siren” app, you can convince the driver that the cops are tailing them. It even has siren sounds if you want to really freak them out. Yeah, this one is totally cruel. Did you seriously think we were going to get through this list of prank apps without a good ol' fart app? Here's the deal- farts are funny. You can't deny it like you can't deny climate change (deep sigh). So, if you're craving good laugh, download "iFart." This is the go-to prank app for your fake flatulence needs. The best feature- the "sneak attack" fart timer. Schedule a sweet fart, hide your phone by someone's chair, and go far enough away to seem innocent when the melodious sounds attract the attention of everyone in the office. Stay classy & gassy, pranksters. Thankfully, we’re not making prank calls on our Motorola flip phones anymore. Now we’ve got apps that elevate that classic prank we all know and love. To really fool your friends, the “PrankDial” app is the way to go. You can choose from over 150 funny scenarios, select a person to call, and the app sends the call while you sit back and listen to your prank in action. This app does the trick but it definitely takes some of the originality out of the classic prank dial. If you're looking for a prank that you can add more creative flare to, app #1 will be the prank app for you. Hear me out. This isn't a hot new app, it's just your Settings app! And no, I'm not crazy! You wouldn't expect it but, built right into your phone is a dream function for pranksters. If you can get on your friend’s phone, go to Settings>General>Keyboard and find Text Replacement. Here you can change words they commonly say to anything your heart desires. Get creative with it! Make as many text changes as you'd like. You'll end up with one hilarious conversation because, as I said, no one expects the Settings app! So there you have it! With these ten prank apps, you can be a master prankster without even lifting a finger (from your screen, of course). Now get out there and get some laughs! 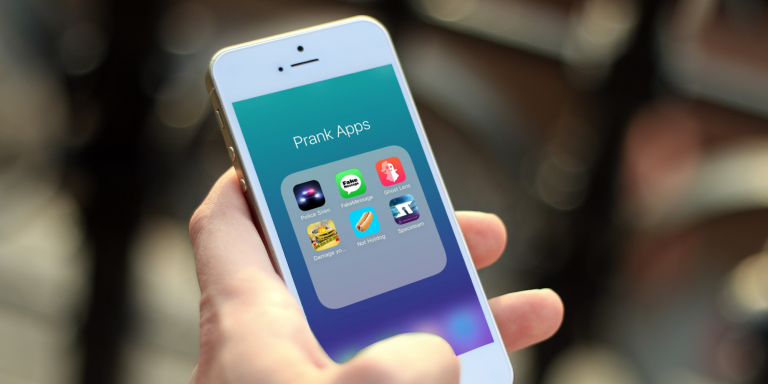 Also check out our first list "5 Funny Prank Apps for April Fools" if you're not done with the pranks just yet. Published by Diane and Haley Stiel on August 4, 2017 . Article in App Review, iPhone, iPad categories. Published by Diane on September 15, 2011 . Article in Companies, Startup, Technology categories. Published by Diane on September 14, 2011 . Article in Companies, Startup categories. 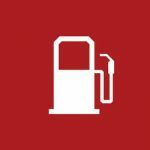 Article in Companies, General, Mobile, Tech Industry, Technology, New York City, App Review, iPhone, iPad, Android categories. Published by Diane on September 13, 2011 . Article in Mobile, Social Media, Social Networking, App Review, iPhone categories. Article in Mobile, New York City, App Review, iPhone, Android categories. Published by Diane on September 9, 2011 . Article in Mobile Future, Startup categories. Are Other App Stores Underground Goldmines? Published by Diane on September 8, 2011 . Article in General, Humor, iPhone categories.